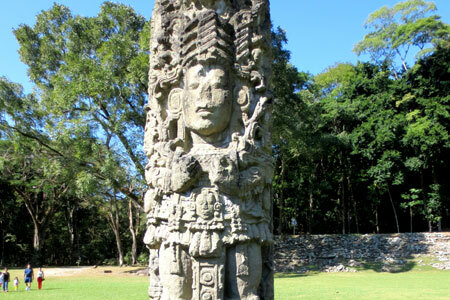 For nature lovers, any trip to Honduras eventually leads to La Ceiba. 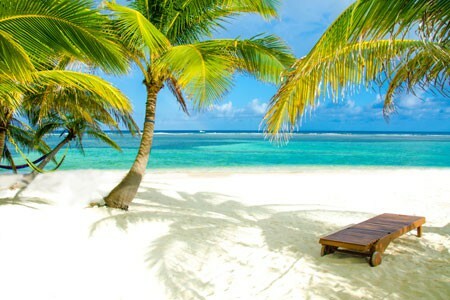 Many know this port city as the launch point for flights and ferries to the diving meccas of Roatán, Utila, and the snorkelers’ heaven, Cayos Cocinos. 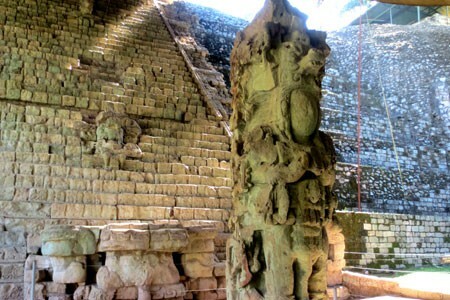 But it’s also a base for some of Honduras’ most thrilling and intriguing mainland ecoadventures. The sprawling, untamed national park, Pico Bonito (which means “beautiful peak” in Spanish) beckons lies less than 20 km/12 mi from the town of La Ceiba. The park encompasses nearly 100,000 hectares/247,000 acres and seven ecosystems, from nearly sea-level coastal plains all the way to the 2,435 m/7,989 ft tip of the park’s mountain namesake. 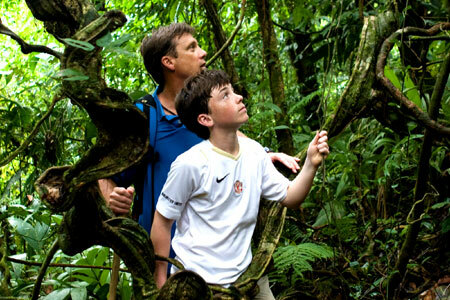 Pico Bonito is unparalleled for jungle trekking and spotting endangered wildlife and exotic birds (400 recorded species). Witness extraordinary views from high in the canopy while gliding along a zip line or walking a 122 m/400 ft long hanging bridge. 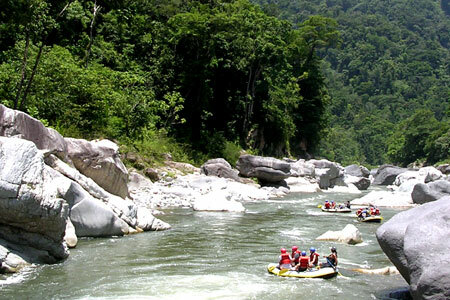 Or, try rafting the Cangrejal River’s exhilarating and technical class IV and V rapids. Park trails range from nature walks, to steep-but-satisfying waterfall hikes, to a challenging trek to the top of Pico Bonito and back that’s measured in days, not hours. Endangered wildlife takes center stage at Refugio Nacional de Vida Silvestre Cuero y Salado. The protected mangroves, wetlands, and tropical forests of this 132 sq. km/51 sq. mi reserve are home to some 196 bird and 35 mammal species, such as manatees, sea turtles, crocodiles, howler and white-faced monkeys, jaguars, hawks, eagles, parrots, and migratory birds. Spend the night in a rustic cabin and greet the dawn in the park for the best chance of seeing wildlife. 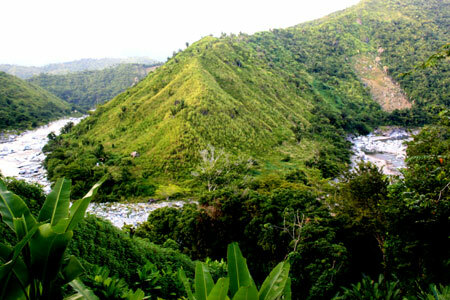 Much of Pico Bonito National Park, located in Honduras’s northern coastal region near the city of La Ceiba, remains unexplored. 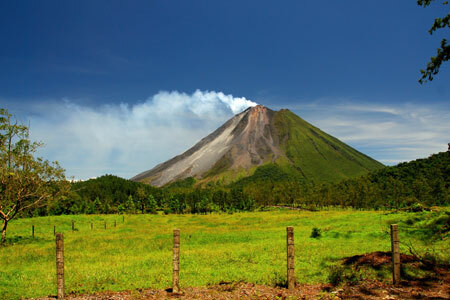 The country’s second largest national park, it’s named after the 2,435-meter-high mountain that dominates its sky. 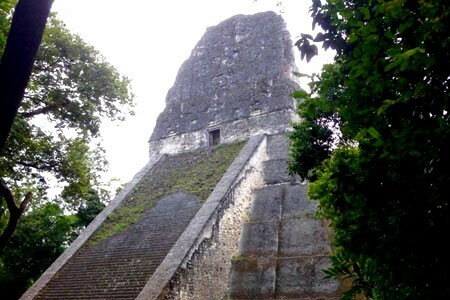 Although much of the park is inaccessible without a machete and some serious boots, it remains an exceptional destination for jungle treks, bird watching, and whitewater rafting. A rugged, naturally isolated 1,073-square-kilometers, Pico Bonito is home to cloud forests, dense jungle, several river systems, and abundant wildlife that includes jaguars, armadillos, wild pigs, porcupines, river otters, white-faced monkeys, and an array of tropical birds (some speculate the park is home to more than 420 avian species). Although much of the park is inaccessible without a machete and some serious boots, it remains an exceptional destination for jungle treks, bird watching, and whitewater rafting. 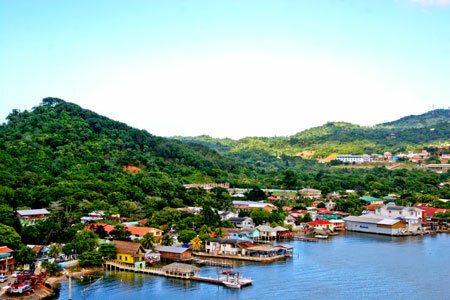 In the town of Tela, on the northern Caribbean coast, you can wake up to the sounds of waves crashing against the beach, watch for birds and howler monkeys on a mangrove tour, snorkel in clear blue waters, and experience Garífuna culture, all before the sun sets. 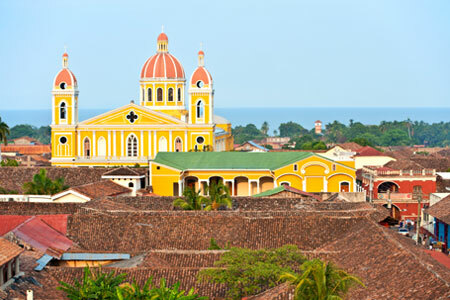 This up-and-coming beach town is still a little rough around the edges, but it has a few upscale beach resorts and is a great launch point for day trips to the mangroves and tropical forest of Punta Sal National Park, Cayos Cochinos Marine Biological Reserve, and the botanic gardens of Lancetilla. Click on the map to discover some of Viaventure's favourite destinations.